Since he began practicing locally in 2001, Dr. Tim Lenahan has been passionate about serving patients in South Amboy, Parlin, and Sayreville with the highest level of chiropractic care available. 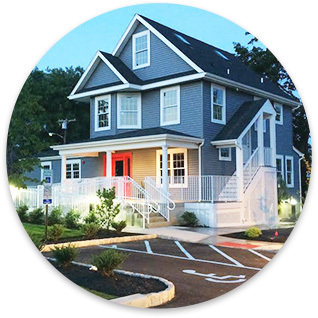 In 2015, he moved his chiropractic care center to the current location, which is the home he grew up in. As an 8-year-old child, Dr. Lenahan was critically injured by a car while riding his bicycle. As a result, he was hospitalized for over a month and in a coma for a few days. Despite seeing multiple specialists, nobody could determine what was causing his debilitating headaches. At the time, his older brother was seeing a chiropractor for his asthma and allergies. “My parents decided to take me to the chiropractor. It was the only relief I got for my headaches.” He is passionate about helping patients the way he was assisted so many years ago. From young children to active seniors, patients of all ages can benefit from our form of natural health care. While we initially aim to get patients out of pain, we then seek to rehabilitate their spine to improve their posture. Dr. Lenahan will explain that pain is simply an indicator that there is something wrong. The pain will go away fairly quickly, but the cause of the pain will take more time to address. A 6-year-old girl who was diagnosed at the age of 2 with ADD, came in following a minor auto accident that she and her family were involved in. The mom had explained her daughter’s history with ADD. In the office, the girl was highly active as if she had consumed a considerable amount of coffee. The mom said that if her daughter got three hours of sleep a night that would be a lot. Dr. Lenahan worked on the girl but she was unable to sit still long enough to take X-rays. With staff assistance, she was able to lie down. He determined what was going on structurally in her neck based on palpation. He then gave her an adjustment. Her mother came in the next day and explained that after the adjustment they went home and had dinner. The little girl went to bed early expressing how tired she was. She slept for 9 hours — the first time in her life that she had ever slept that long. Another patient, who is in her mid-50s, was involved in a near fatal motor vehicle crash 12 years ago. As a result of the crash, she had neck surgery and three low back surgeries. When she first came into the practice, she had to use a walker. After 6-8 weeks she’s walking without her walker and standing straight — something she hasn’t done in 12 years. Formerly despondent, she now glows when she comes into the practice. We find it satisfying when patients express their gratitude for how they’ve been helped with chiropractic. Let us help you discover hope and healing. Contact Lenahan Chiropractic today!